RPS — The SkyLIFE Company, Inc. However, using The SkyLIFE Company's unique Remote Packing System (RPS), completed aid packs can be pre-positioned in locations for an immediate response within hours of a disaster. By stockpiling SkyPACKS with a local labor force, using payloads from regional vendors, emergency crews can be assured of being able to respond when their country needs them. 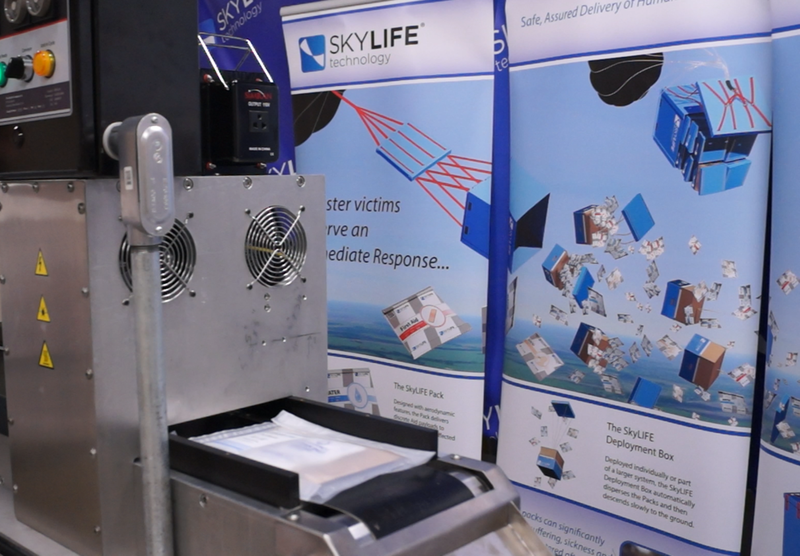 The SkyLIFE RPS has been designed to allow aid providers to set up a SkyLIFE pack production facility in remote areas. The system is designed to run on either 120VAC or 240VAC. An all-electric option is available for locations where pneumatic systems are undesirable. Power can be supplied via local mains or by the optional gasoline or diesel generator.